The iconic brand returns–with a 21st-century upgrade for iPads. Burton aims to distinguish himself in the crowded educational space as the company’s “Curator in Chief,” who will personally curate top-notch educational books, apps, and games, to help parents navigate through the growing jungle of digital products. “I’m the curator,” he says. “I chose the voices, I put together the team; this is the value of 25-plus years of experience that I bring to this venture.” Years of experience delivering instruction through a technological medium, television, argues Burton, has given him a unique insight into what engages the fickle mind of a child. 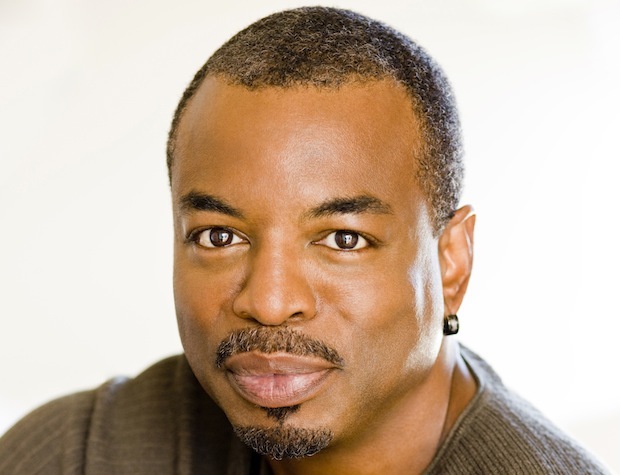 After all, he says, Reading Rainbow (which he helped produce and hosted) originally began as a PBS summer series to get kids interested in occupying their free time with books, instead of intellectually slacking off for three months. The first RRKidz product will be a multimedia-enhanced reading ecosystem on the iPad. Hand-selected stories are given a digital upgrade with voice-overs, light animation, and games. “Wrapped around” the expansive digital library (launching with 300 books) is a set of games and professionally produced videos, with Burton in the familiar role of curious investigator. For instance, for the topic of space, Burton says he recorded video “all over” the NASA station during the penultimate launch of the Atlantis space shuttle. RRKidz also plans some “disruptive” technology, which Burton says will allow him to enhance a PDF book with voice-over, light animation, and games “in a matter of hours.” Though details are scant, the technology is a “streamlined” process that will allow an individual (human) worker to digitally enhance enough content to grow the library at 35 books in the first months after launch. To finance the endeavor, Burton has assumed an unfamiliar entrepreneurial role, aided by CEO Asra Rasheed. RRKidz recently scored a first funding round from Raymonds Capital LLC and additional funds from Ewing Marion Kauffman Foundation. “We were really looking for the right kind of money, the kind of money that really believed in what we were doing,” he says. Indeed, Burton seems far more enthusiastic about developing products that create enthusiastic learners. As such, the app will launch as a monthly subscription model, so kids can explore unlimited titles as their interests expand (hopefully).